The British navy, under Winston Churchill had tried to take the Dardanelles Straight through Turkey. This sea route was needed to get supplies to Russia. The British navy failed losing 3 ships and the French navy losing 2 ships. The next idea was for a military action to take the Gallipoli peninsular and secure this sea route from overland. The army was supported from the sea by 12 inch and 15 inch naval guns. It was Sunday 25 April 1915 and the Auckland Regiment was the first of 3100 New Zealand men into battle at Gallipoli on that day. One third was either killed, wounded or missing. As they rushed onto Anzac Cove, two Cambridge men were never seen again. Private 12/710 Ernest Wilkin Cox, the son of Edmund and Ann nee Wilkin, was born 11 April 1893. He was a farmer at Roto-o-rangi with an interest in rugby and rifle shooting and enlisted on13 August 1914 with the Auckland Infantry Regiment 16 Waikato Co. It would be months later, after a Court of Enquiry, before their families were told that their boys were officially dead. 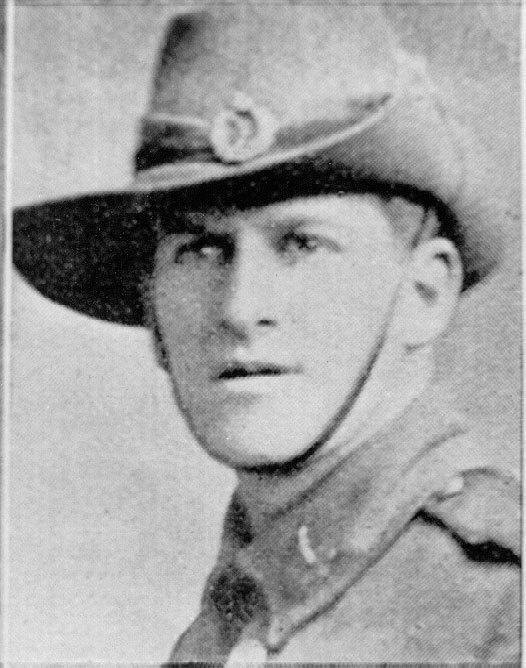 Ernest was Killed in Action 25 April 1915 and is one of 456 New Zealand soldiers listed as missing on the Plugges Plateau Lone Pine Memorial. The other soldier was Private 12/830 Francis Asbury Paine, son of Mr and Mrs Frank Paine also of Roto-o-rangi. Also a farmer and a member of the Roto-o-rangi Rifle club when he enlisted in Cambridge in 1914 with the Auckland Infantry Regiment 16 Waikato Co.
Francis Paine, had a twin brother Charles who also joined the army. Their father, Frank, who had seen service as a first class petty officer in the British Navy, sent his application Home indicating he was willing to serve again. With both sons away they were no longer able to manage their Roto-o-rangi farm so sold up and moved to Auckland. 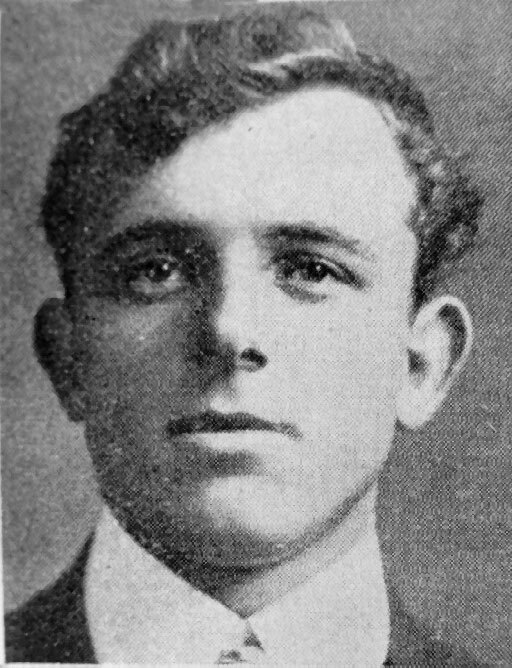 Charlie was later wounded in September 1917. Francis junior was listed as Killed in Action 25 April 1915 on Plugges Plateau, Lone Pine Memorial. The Auckland Battalion had started landing men at 8 30am in lighters and small boats and they scrambled ashore under heavy shellfire. 12/846 Private A C C ‘Bert’ Robins of Cambridge wrote to his parents – “The fight was most furious, and all played the game. The Turks held a most difficult position for us to take, as we had to force a landing, and there were big, rugged ranges immediately ahead. We landed early on Sunday morning, under heavy fire from our battleships. All made a name for themselves straight away, charging and rooting the Turks out of a very difficult place. 12/255 Sergeant Thomas La Trobe Hill was employed in his father’s chemist shop in Cambridge before he enlisted. He left with the Main Body and landed on Gallipoli with the first New Zealanders at 10am on 25 April 1915. He recorded in his diary on 25 April 1915, ‘Anzac Cove Landed 10a.m. under heavy shrapnel all day. Heavy casualties’. ‘Lieutenant Peake was impressed with the magnificent behaviour of the New Zealand non-commissioned officers and men during their first experience under fire. He felt they showed the greatest resource and daring, and there was no hanging back on the part of anybody. ‘We New Zealanders, especially the Auckland boys, have been badly cut up. My company is in a terrible mess. Our major is wounded, our captain is shot through the lungs and Lts Allen and Baddeley missing. ‘My platoon officer, Lt H H S Westmacott (an old Christchurch boy) is seriously wounded in the arm and back, and Lt Peake has an arm nearly blown off. The first newspaper report appeared 28 April 1915. There were congratulations for brilliant work well done, but in the beginning of May the country was following the campaign, impressed more with the seriousness of the situation and the long list of casualties.